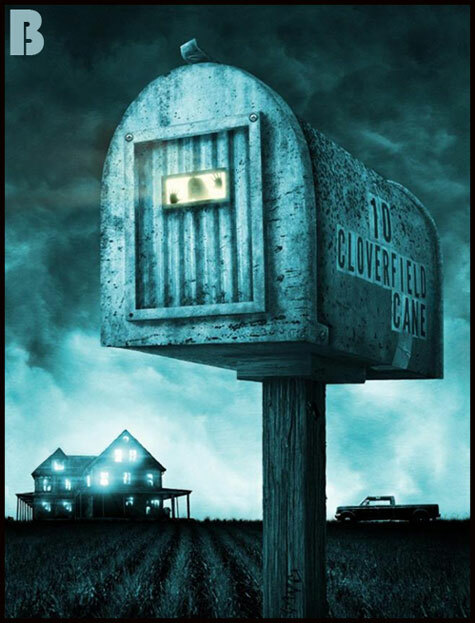 Hey, the super mysterious 10 CLOVERFIELD LANE is landing in theaters today! How can you resist seeing it? I can’t. Based on this poster I’m thinking the plot involves a giant killer mailbox and if that’s the case, I’m going to sue them for stealing my idea! In the meantime, can you find the ten differences between images A and image B? Good luck! 1) A mailbox says Lane. B says Cane. 2) A mailbox has three rivets on front. B missing bottom right rivet. 3) A mailbox has larger handle than B. 4) A mailbox has woman behind plastic slightly higher than B. 5) Mailbox A has larger base than B, look at the left side directly under the mailbox.